Did you know that milk turning sour is a sign that there's a witch nearby? Or that slicing the fat off a little boy's body can make you fly? If the answer to any of those is no, then you need to see this film. It's a sort of Terminator spin-off, where instead of a cyborg from the future, the badguy is a witch from the past. 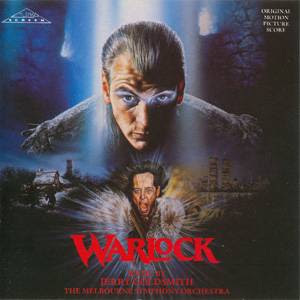 You might say that Julian Sands never hit it bigtime, but he's been in more than his share of cult classics with a sizable fanbase all around the world, and Warlock is probably his magnum opus.